In the first article of this series we discussed the overall necessities to producing a high quality film. In this blog we will go over the steps it takes to have a successful pre-production phase of video production. There are a lot of different steps it takes before you even get to the production phase of a film, and this article will talk about what that takes. The most important part of producing a film is having a solid script. Scripts can take years to perfect, and go through countless reviews and re-writes. Each scene, each line of dialogue, and each character action shape your film. This is why you want to have your script perfected before you begin doing anything else. A good script also helps with finding funding for your film. Once your script is all set, you will need to find and secure locations for your shoots. This can be an arduous task that takes a lot of time and commitment. Not everyone wants a huge production going on at their location. You have to secure permits with cities, pay for the space, and coordinate everything that goes into location scouting. Once you have the location, keep in mind the natural lighting, their hours of operation, and who will be moving in and out of your set. The most obvious part of creating a good film – who will be the on-screen talent? We all want Leonardo DiCaprio and Bradley Cooper in our films, but sometimes your budget doesn’t allow A-List celebrities. You have to find local talent who will work within your budget. You can contact local talent agencies and even put up ads on Craigslist or contact a local university. Try to find someone with experience, it makes a huge difference when you get on set and your talent knows their lines, verses if they wing it. Another factor to consider in pre-production is what equipment you will use. You don’t want to shoot on a poor quality camera, but depending on your budget you may not be able to afford the highest quality camera. Try to find someone you can rent the equipment from that is in your budget. Most rental companies have strict overtime policies so make sure you coordinate your shoot so that you get everything you need while you have your equipment. This includes your cameras, lights, audio equipment, and grip gear. 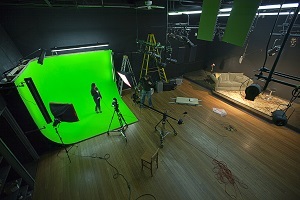 Our next article will go into detail about how to coordinate a shoot and move into principal photography.